David Peterson was premier from 1985 to 1990. 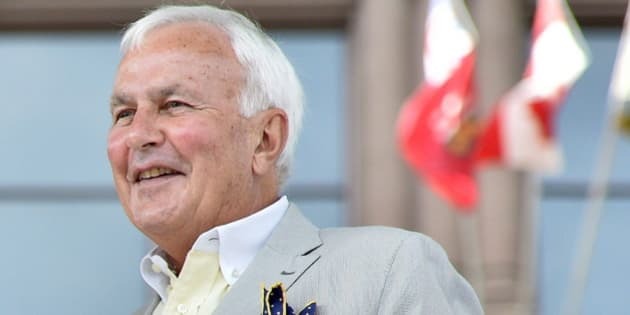 TORONTO — A manager with the Pan and Parapan American Games alleges in a lawsuit that she was sexually harassed by David Peterson, the former Ontario premier and TO2015 chairman. In a statement of claim filed with the Ontario Superior Court, Ximena Morris, 34, further alleges that when she complained to human resources and senior officials, she was first told to "let it roll off your back" and then demoted. The claim alleges a history of flirtatious remarks from Peterson that escalated into unwanted hugs, sexually tinged remarks and public humiliation. "'Hello Beautiful' was Mr. Peterson's common greeting, evolving to more aggressive and suggestive language," the claim alleges. At an April 2014 event, the statement of claim alleges, Peterson "without invitation or consent reached and violated the physical and sexual integrity of Ms. Morris by embracing her, touching his chest to her breast, commenting again about her physical attributes." The claim also alleges a "concerned and embarrassed" Saad Rafi, TO2015's CEO, turned to Morris at one point and told her: "Please don't sue us; let it roll off your back." Morris also names the Pan and Parapan Am Games organizing committee, the Canadian Olympic Committee (a partner of the Games) and three members of the executive team at TO2015. She is seeking $10 million in damages. "I deny the allegations, categorically, and look forward to confronting them in court," Peterson said in an email. Neala Barton, TO2015's vice-president of communications, told the Globe and Mail that Morris's claim "grossly misrepresents how management at TO2015 handled Ms. Morris's allegations." Peterson was Ontario premier from 1985 to 1990. He played a critical role in helping Toronto land the Pan Ams.